TheBlueGuerilla: EXCLUSIVE: Five More Kippers Get The Boot. 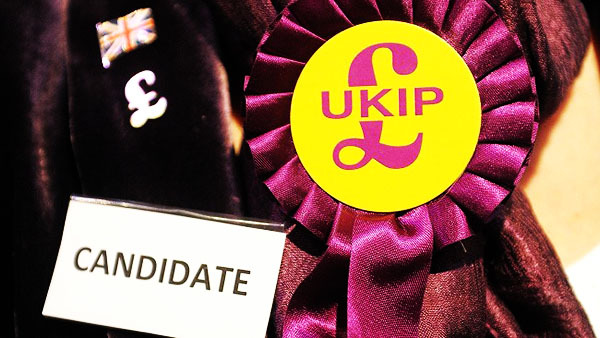 FIVE more former UKIP members of Lincolnshire County Council have been sensationally booted out of the party, tbg can reveal. The five were part of a breakaway group set up by former Leader Chris Pain. UKIP tonight said the reason for their decision was because they had broken party rules by forming another political party. The news comes on the same day that Tory Blogger Geoff Brooking announced that he is "actively considering" returning to UKIP. Mr Brooking says that action needs to be taken in order to stop further EU migration controls being lifted in January and in today's Letter of the Day in the Daily Express he explicitly tells David Cameron to "act now". Over 80,000 people have so far signed a Daily Express petition on the issue.